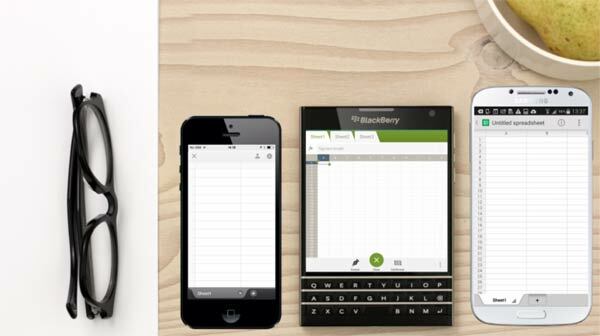 BlackBerry launched its unconventional new Passport smartphone yesterday. It comes sporting a square touch screen and a modified touch-sensitive version of the company's physical QWERTY keyboard. The device is the size and shape of a closed passport, and was first announced back in July by BlackBerry CEO John Chen, reports the Guardian. The Passport was shown off at simultaneous events which took place in Toronto, London and Dubai. BlackBerry hopes its new smartphone will stand out in the crowded market amongst the plethora of rounded rectangular devices. The Canadian company is currently in the most critical phase of its turnaround push and is relying on the new handset to prove that its smartphones are still desirable to businesses and consumers. The Passport was billed continuously through the launch event as marking the big "Canadian comeback" of BlackBerry, according to IT Pro. 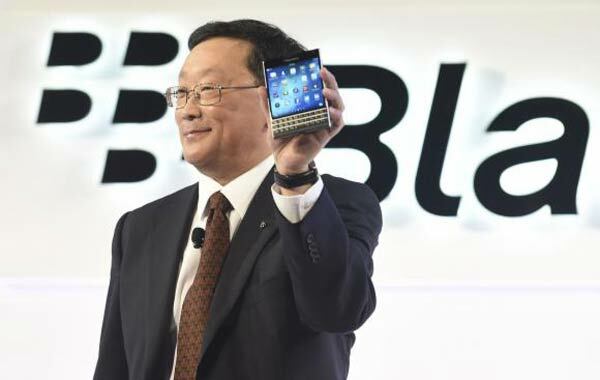 Chen confidently announced that BlackBerry is determined to win its home country back, and that the Passport handset will spearhead this move. "I've been here 10 months and we recruited a team, inside and outside the company, and we laid out quickly a few things: a financial strategy, a technical strategy...and a distribution strategy," Chen explained. "You will see the company making good progress in repairing all balance sheet items..."
BlackBerry said that the new device will be aimed at business-focused users, professionals who will be using the device for work for more than half of the time. These professionals account for 30 per cent of the smartphone market, the company adds, and will choose their devices based on the productivity benefits they have to offer. The Passport's screen is said to be perfect for accessing and editing documents, however the square ratio may not be so suitable for viewing modern wide-screen videos, for example. Specs wise, the handset features a 4.5-inch square 1440x1440 pixel display, a 2.2GHz Quad-Core Snapdragon 801 CPU, 3GB of RAM, 32GB of internal memory expandable via micro-SD, 13MP main camera and a 2MP front camera. This is all powered by a large 3,450mAh battery promising up to 25 hours of mixed use. The BlackBerry Passport's unique keyboard will allow users to type to enter text, or swipe lightly across it with gesture commands to navigate through the device UI. Meanwhile the company's latest BlackBerry 10.3 operating system has undergone various refinements. These include a new virtual assistant simply called 'BlackBerry Assistant', a feature to allow users to access information stored on their phones from tablets and computers called 'BlackBerry Blend', and access to Amazon's Appstore. Although BlackBerry still has a loyal business customer base, many are speculating upon the Passport's ability to attract new users. Mixed reviews have been given to the handset so far, with some praising the keyboard but saying that the phone's shape makes it awkward to hold. In a cutting analysis The Verge summed up "The Passport is a shrine to everything BlackBerry has done over the last 15 years, but none of that is very relevant in today’s world." The reviewer awarded it 6.2 out of 10. The device is now available in the UK, and is also available in Canada, France, Germany and the US, priced at an "introductory rate" of £529 (US$599). The Passport is available through the company's website store and is currently being offered exclusively, in the UK, at Selfridges. Also in the UK, Carphone Warehouse will be selling the handset from Friday and it is expected to become available through Vodafone in due course. How often/how long do you have to use your passport to even notice that ? Never been a BB fan or had any of their tech but this ones does look like a nice step from their usual stuff. When I first heard of this I thought it was satire. That keyboard looks painful to use. If my company gave me a square screen to do all my excel work I would be more confused than anything else. Seems like a decent hardware lineup though. And when you stick it above a qwerty keyboard you barely notice the square screen, because on a normal smartphone you lose that screen area to an on-screen keyboard most of the time. The only thing it's probably poor for is consuming media, but that's so not the point of a blackberry smartphone anyway ;) For document editing I'd much rather have the square screen and physical keyboard. As someone who travels semi regularly, I can vouch for this. Honestly, this looks like a phone I might pick up, and I'm still using a 3gs, it's between this and whatever google can pull out their arse.